By Christine Amorose | March 4, 2019 | This post may contain affiliate links, which means we may receive a small commission, at no cost to you, if you make a purchase through a link. Read our Disclosure. 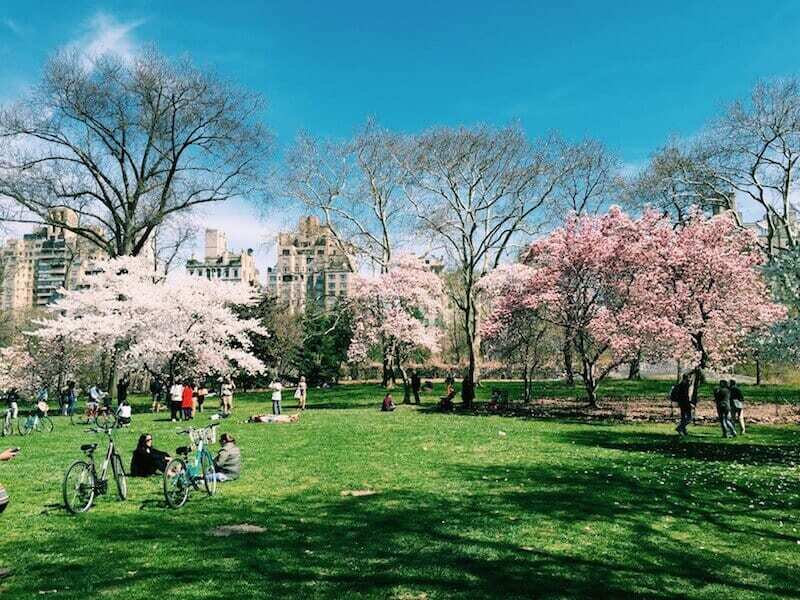 Central Park is an oasis for New Yorkers, and there are plenty of things to do in Central Park in all seasons that provide a respite from the concrete and chaos that reigns on the rest of the island. 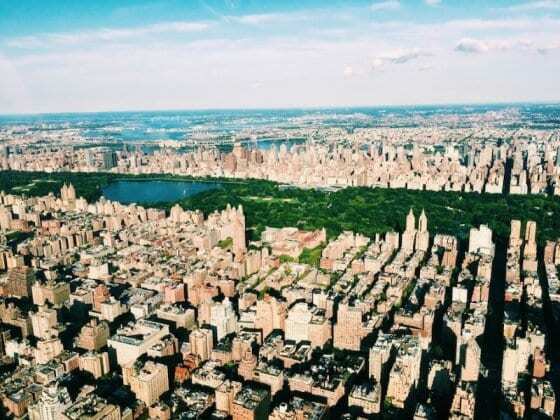 Stretching three avenues wide from 59th Street all the way up to 110th Street, it’s 843 acres – or six percent of the entire island of Manhattan. It’s the most visited urban park in America, a popular tourist destination and one of the most filmed locations in the world. And it’s where locals walk their dogs, play sports, have picnics with friends and generally just enjoy the wonders of the outdoors without having to leave the city. Central Park is worth a visit no matter what time of year you visit New York City, but some things are better in certain seasons. 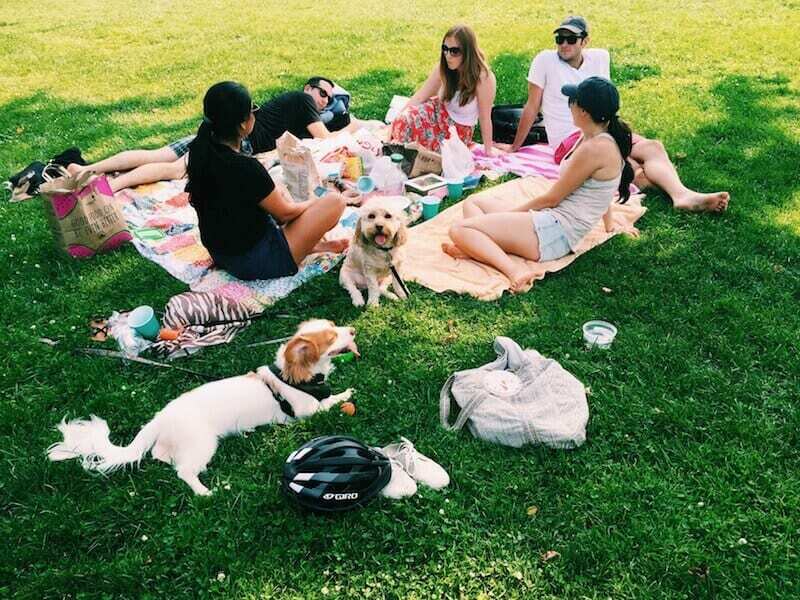 Have a picnic in Sheep Meadow – load up on provisions at the Whole Foods on the corner of 59th Street and Columbus Avenue. The city has recently lightened up on drinking in public (aka you can’t get arrested, but you can still get a summons), but still be discreet if you pack any beers. Play beach volleyball – right next to Sheep Meadow is a row of sand volleyball courts, perfect for a pick-up game, or just to watch the super athletic people throw it down. 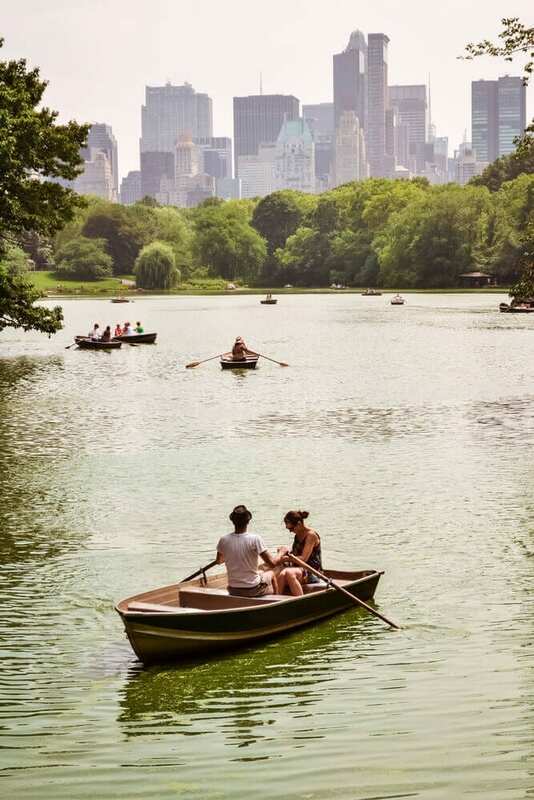 Row boats under Bow Bridge – romanticized by plenty of Hollywood movies, you can rent a boat and lazily spin around the Lake, Central Park’s second largest body of water. Even if you don’t want to spend $12 to row, walk over the gorgeous Bow Bridge for the best view of the boats. See the leaves change on the Pool. 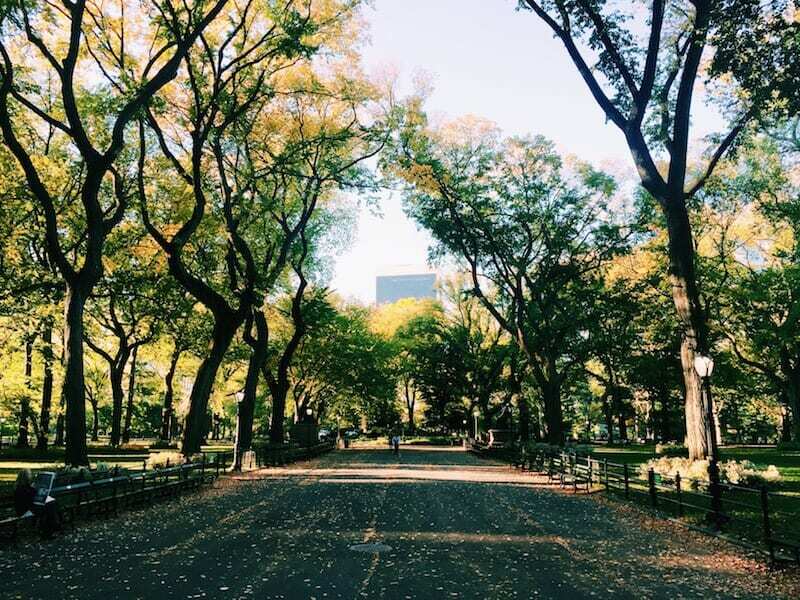 Although most tourists will stay in the southern end of the park, the west side of the park between 100th and 103rd Streets boasts some of the most beautiful foliage. Don’t miss seeing the reflection of the trees in the Pool, the rustic stone bridge known as Glen Span Arch or the Loch, a somewhat hidden waterfall. Race the model boats – bordered by the Alice in Wonderland statue and Hans Christian Anderson statue, the Conservatory Water is a popular place for kids of all ages to rent a remote-controlled, wind-driven sailboat. 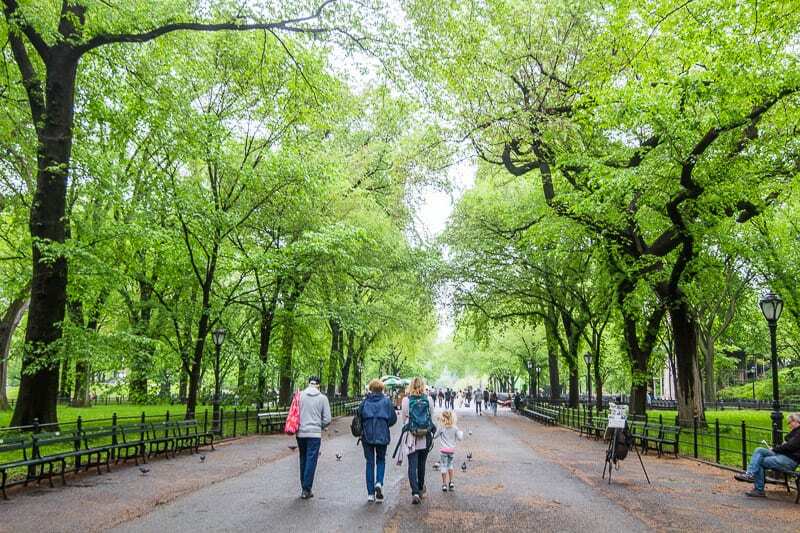 Walk down the Mall – lined with American elms, this wide walkway (originally intended for horse-drawn carriages) leads to the beautiful Bethesda Terrace. 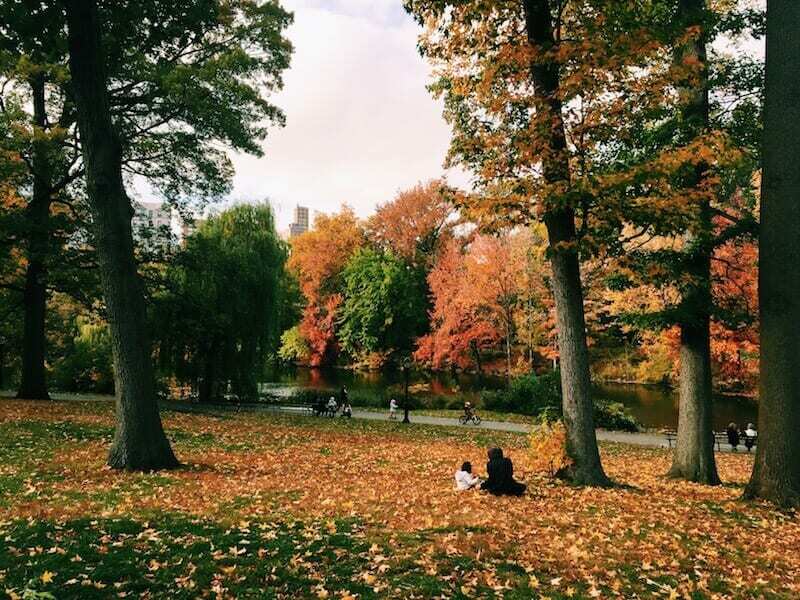 When the leaves are changing, it’s hard to find a more picturesque place in the city. Go ice skating – Wollman Rink opens every winter for skaters of all skill levels. 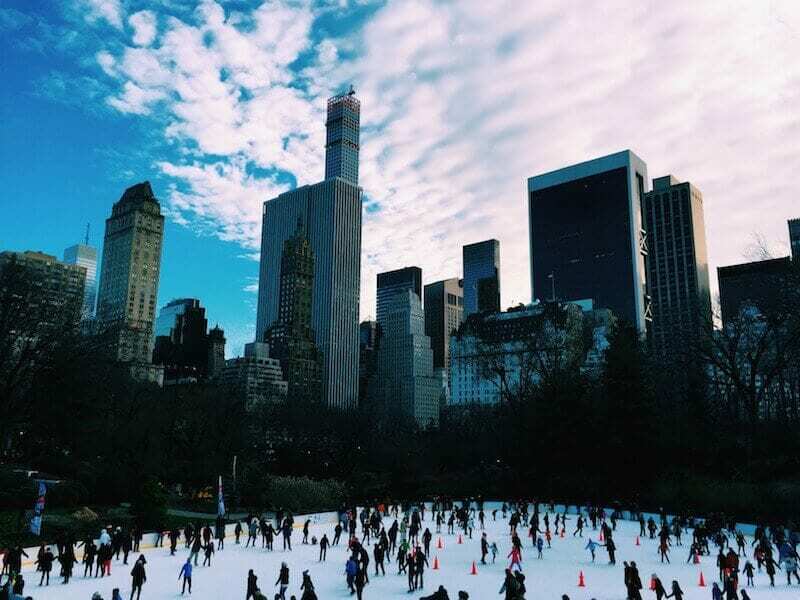 Although it’s understandably a tourist draw, located in the heart of the Park with a backdrop of skyscrapers, Wollman Rink also offers plenty of skating classes for local kids. Try out sledding – Pilgrim Hill is one of the steepest and most popular (aka most crowded) sledding slopes in Central Park, but I prefer Cedar Hill. There are two portions to the hill, so you can warm up on the lower slope before heading to the top to speed down the more adventurous option. It’s usually easy to borrow someone’s sled or use a discarded one, but they’re also easy to find at most drugstores or sporting goods stores close to the park. 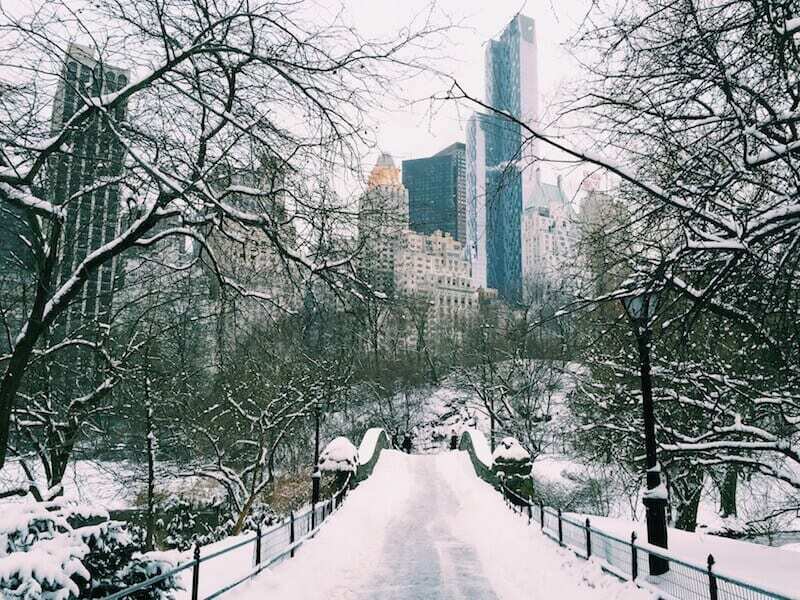 Walk across Gapstow Bridge – after a snowstorm blankets the city and the pond freezes over, this little southeastern corner of the park is the best place to see the glory of a New York City winter (without having to venture too deep into the park). Just make sure to wear boots! See the cherry trees blossom – although there are cherry and magnolia trees scattered throughout the park (and thus there are explosions of pink all over the place during late April and early May). I especially like a little corner between the Mall and the Balto statue. There’s a little patch of green that’s just perfect for a break in the sunshine! Stop and smell the roses – when New York City starts to bloom, there’s no better place to experience it than Shakespeare Garden. It’s filled with the plants and flowers that Shakespeare mentioned in his works – with helpful bronze plaques that identify the flower and the quotations that mention it. 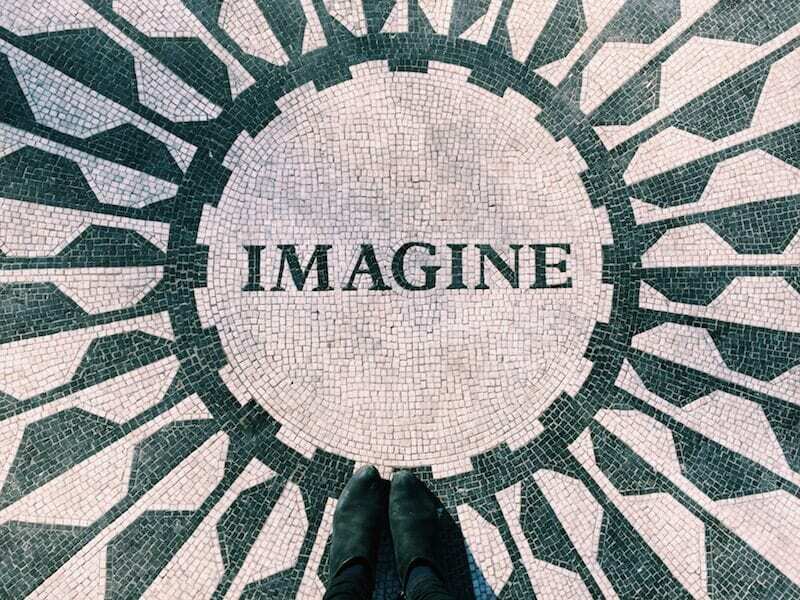 Remember John Lennon at Strawberry Fields – the black and white Imagine mosaic was created in tribute to the musician and peace activist. Flowers are still regularly placed on it in memoriam of the late Beatle as a symbol of peace. The Central Park website is a super helpful and detailed resource for all of the attractions within the park as well. 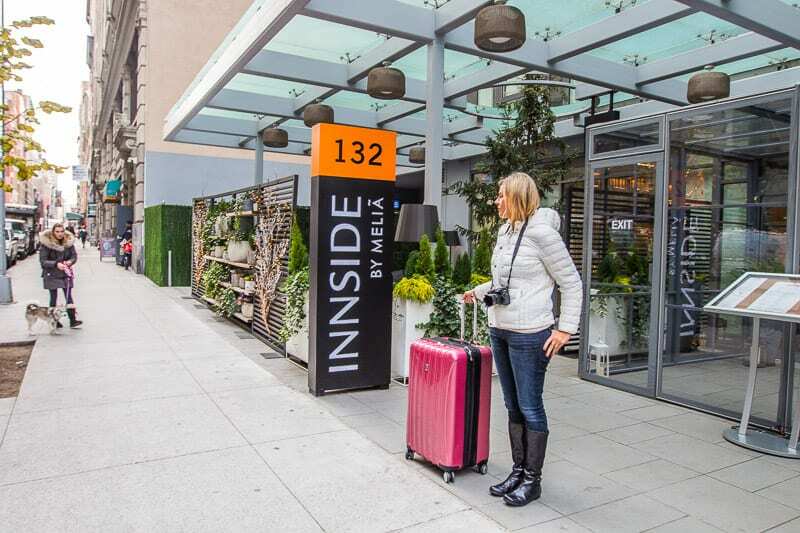 We loved it for it’s modern vibe, decent price, amenities and fantastic location in Chelsea near the Flatiron District. You can walk to many places and it’s right near the subway station. 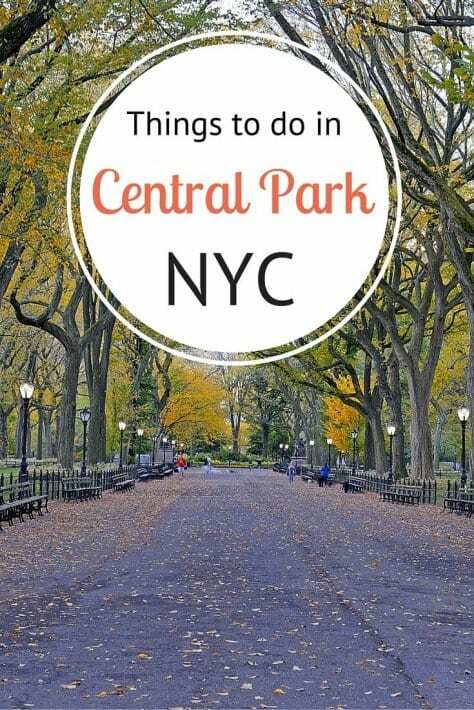 Do you have any tips on things to do in Central Park? Share any suggestions in the comments below. This is fantastic! I absolutely love exploring central park when visiting NYC. Almost equally awesome is Golden Gate Park in San Francisco. I can’t wait to spend some time there when I’m back in town in a few weeks. Wish I was going back there in a few weeks Liz. Enjoy! Grateful to see this, i visited central park many times and this post remembering all my lovely memories again and again. What a great experience! One of the things you can’t miss it in NYC! Thanks, good guide! Will be useful before my trip to NYC in September, have you got a post about shopping in NYC? I love Central Park and have visited many times. But, my favourite Central Park memory was when my husband and I went for a run there at about 6 a.m. on a week day. We could not believe the number of runners and cyclists using the park for early morning training. It was almost like running in a marathon event. The energy was incredible. I think one of the best things to do in Central Park is a photo safari with newyorkcityphotosafari.com . You get to see the sites and learn how to take great photos too! What could be more fun! 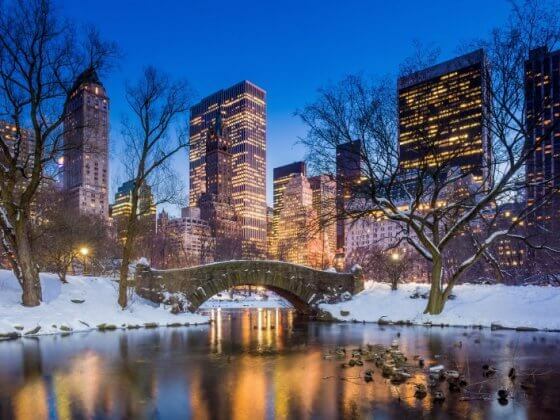 Of course Central park is the main center of attraction in Newyork , We have other locations like Empire State Building , Statue of Liberty , Ground Zero 9/11 Memorial , Museum plus the spot on journey on Cruise , Great city to visit with great peoples , If you are looking make this journey more adventurous with minimum hassle you can hire a local guide for this trip , They will serve many purpose like reducing the cost , time management and also have varied inclusions for various range of Travelers , They will help in making smooth Transportation and many other extra comforts down the movement. for more information pl. 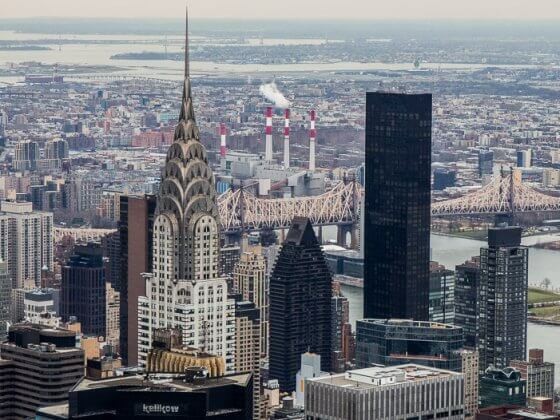 visit the link http://www.tripindicator.com/tours/new-york/fast-track-tickets-best-city-sightseeing-tours.html , I am sure you are going enjoy , have a great Trip ??? ?